For teams already eliminated from a pennant race, the last game of a season typically means very little. In many of these instances, managers, players, and umpires might be more concerned about bringing the final game to a swift end to facilitate an expedited trip back to their offseason homes. For bench players and untested late-season call-ups, the final game of the season might represent a chance at a start that they otherwise wouldn’t have received. Occasionally, a season’s last game might have repercussions for a player trying to achieve a certain statistical landmark. At the end of the 1937 season, Cleveland Indians pitcher Johnny Allen found himself in such a situation. Allen reached the major leagues relatively late in life. He was a 27-year-old rookie with the New York Yankees in 1932. A right-handed pitcher, he went 17-4 with the Yankees that year and achieved a record of 50-19 with New York from 1932 through 1935. Traded to Cleveland for pitchers Monte Pearson and Steve Sundra after the 1935 season, Allen won 20 games for the Indians in 1936, the only time he reached that mark in his career. In 1937 the lantern-jawed pitcher had an opportunity to put his name in the record books. Suffering from a tender arm at the start of the season, Allen was used sparingly the first month. After a start against Boston in Fenway Park on June 18, Allen’s record was an unremarkable 4-0 in nine appearances (including eight starts). He was then felled by appendicitis and did not pitch again until August 4, again against the Red Sox at FenwayPark, when he threw one inning of scoreless relief, not figuring in the decision. He tossed 3 2/3 innings in relief, with no decision, on August 8 at Yankee Stadium. He won his fifth game of the season, a start on August 14 at home against the Chicago White Sox, andhis next four starts as well, including two against the St. Louis Browns and one each against Washington and Boston. He pitched 2⅓ innings in relief on September 6 (he didn’t figure in the decision), and then returned to his starting role on September 8 in Detroit, beating the Tigers, 6-1, with a complete-game effort. He then recorded wins in five consecutive starts, all complete games, to finish the month of September with a season record of 15-0. With a win against Detroit at Navin Field on October 3, the last day of the season, Allen could tie the AL record of 16 consecutive winning decisions held by Walter Johnson, Smoky Joe Wood, Lefty Grove, and Schoolboy Rowe. The game of October 3 meant nothing to either the Indians or Tigers. Detroit had a lock on second place in the American League standings, 13 games behind the pennant-winning Yankees. 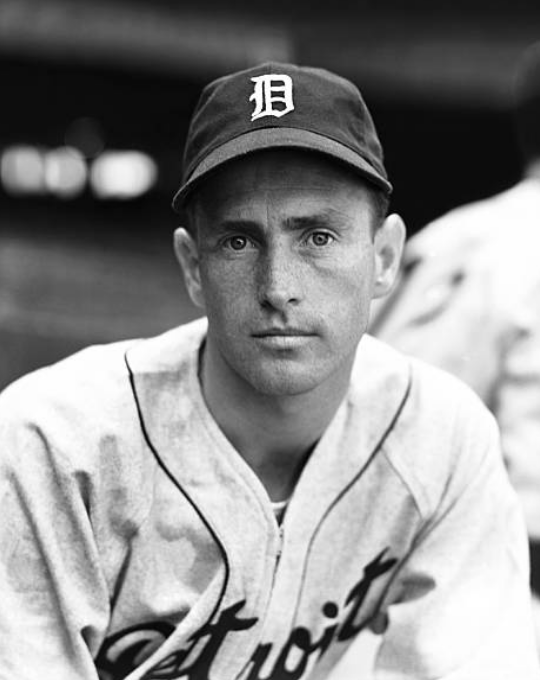 Despite the sizable gap in the standings that existed between New York and Detroit most of that season, attendance at Navin Field in 1937 was very good as Charlie Gehringer charged toward a batting championship and MVP award, and Hank Greenberg and rookie sensation Rudy York treated Tiger fans to a spirited race for the team home-run title. Cleveland had assured itself of a finish in the first division as well, sitting in fourth place, 1½ games behind the White Sox and two games ahead of the Red Sox. Under normal circumstances, it might have been one of those games in which both teams started a number of their bench players. Whether it was out of a sense of personal pride, or respect for the integrity of a game that could prove important for Allen and the record books, both teams used a full complement of regular players, including stars Earl Averill and Hal Trosky for Cleveland and Greenberg, Gehringer, and York for the Tigers. Whether it was because of the accomplishments of their hometown heroes or the excitement associated with Allen’s chase for a record, 22,000 of the Detroit faithful turned out for the final game. Allen’s biggest advantage in his quest for the record that day was his mound opponent. The Tigers tabbed Whistling Jake Wade for the starting assignment against Cleveland. Wade, who epitomized the very definition of lanky (he was listed at 6-feet-2, 175 pounds), was a left-handed pitcher who the Tigers hoped one day would become a fixture in their starting rotation. Since joining the organization in 1932, however, Jake had been unable to tame his wildness on the mound, with an alarmingly high walk-to-strikeout ratio. Entering his closing-day assignment, Wade had a record of 6-10 and a 5.70 ERA, with 103 free passes and just 62 strikeouts in 156⅓ innings pitched. If Allen could pitch just an average game, the odds were good he would get his milestone achievement. Allen held up his end of the bargain. He surrendered a run to the Tigers in the first inning when Greenberg singled home Pete Fox, who had reached base on a double. From that point on, Allen kept the Tigers off the scoreboard, giving up just three additional hits and four walks while striking out four batters in another complete-game effort. Jake Wade pitched what may have been the game of his career. With two outs in the seventh inning and Hal Trosky at the plate, Wade had yet to surrender a hit. The fans in attendance were no longer thinking about Allen’s winning streak; instead, they were focused on Wade’s improbable pitching gem. With Lyn Lary on first thanks to a walk, Trosky hit a hard liner back up the middle that glanced off Wade’s glove and continued into center field. It was the only hit Wade gave up all day. He then hit Moose Solters with a pitch, loading the bases. Indians right fielder Bruce Campbell hit an easy can-of-corn to Gee Walker in right field to end the threat. In the ninth inning Larywalked again to lead off. Second baseman John Kroner sacrificed Lary to second,but Wade got Averill to fly out to Pete Fox, and then Trosky struck out to end the game. Wade struck out seven batters, hit one, and walked four in a complete-game shutout that denied Johnny Allen his place in history. Jake Wade saw very limited major-league action with a handful of teams over the next 10 years. He finished his career with a record of 27-40 and an ERA of 5.00. He walked 5.9 batters per nine innings while striking out just 3.9 batters per nine innings over the course of his career. 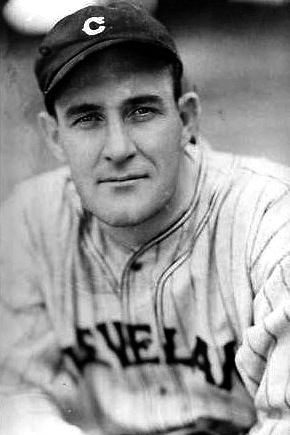 Johnny Allen went on to win 14 games for Cleveland in 1938 and was named to the All-Star team for the only time in his career. He left Cleveland after the 1940 season and subsequently pitched for the St. Louis Browns, Brooklyn Dodgers, and New York Giants, mostly in relief, before retiring after the 1944 season. He finished his career with a record of 142-75 (an excellent winning percentage of .654) and a 3.75 ERA. Holst, Doc, “Johnny Loses Chance to Tie League Mark,” Detroit Free Press, October 4, 1937, Sports,1. Retrosheet (retrosheet.org) for player game logs, play-by-play accounts and other materials. Baseball-Reference.com (baseball-reference.com) for player statistics. 1 Doc Holst, “Johnny Loses Chance to Tie League Mark,” Detroit Free Press, October 4, 1937, Sports, 1. 2 In fairness, it must be noted that the previous day’s game, which featured 17 runs and 22 hits, is listed on Retrosheet as having lasted just two hours.